In this article, strategies to optimize online stores are explained in details. 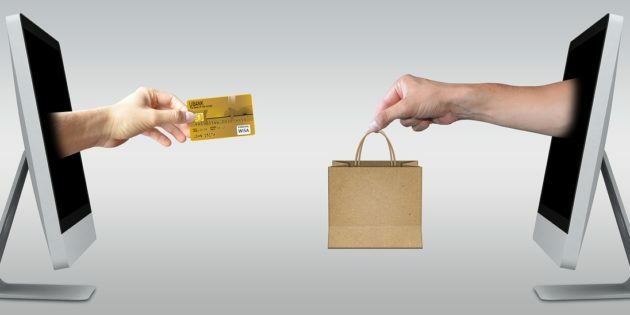 These 21 strategies have been used and proven by successful online store owners to drive targeted organic traffic to online stores. This means, more targeted traffic, more sales for your business. All online owners biggest challenge that they face is how to increase traffic to their stores. There are a lot of ways that can help you increase sales but the results will always vary. If you want to grow your social community and your audience, you have to post consistently. Test the optimal frequency and look at the engagement levels. The minimum of posting should only be once a day for Facebook and four to six times a day on Twitter. You should also pay attention to what time of day you are going to post. This should depend on your location. It is always ideal to use images in your posts. Studies show that you will get 50% more likes when it has photos in it. If it is content from your page, do not forget to include the link. The more engagement you get out on your social media networks, the more you will gain more likes. You should embed social buttons with your site or your blog perhaps so visitors can easily share your content to their respective social media accounts. Not everyone is a good reader and some people would just scan over your content and if it seems too long, they will get bored and eventually lose interest. It is always best to create contents that can be easily read. A great technique that can help increase engagement in Twitter is to host a Twitter Q&A weekly. This way, they can ask you questions regarding your product or services or anything. You can use these questions to use them as a topic in your blog. Do not forget to think of a catchy hashtag. The video popularity over the past years has increased and it is always an effective way of marketing. Today, it is not just videos but people are very interested in the concept of live video. There are a lot of social media platforms, which offers live video capabilities so it is up to you to choose which one. The concept of this strategy is, the consumers will produce contents to share for example: reviews, testimonials, blogs, videos or photos about your product which will then be posted in their respective social media accounts. Consumers nowadays are very into technology and they tend to shop online rather than going to physical stores. More and more online stores have also invest in create an application where consumers can just download and install their apps on the phone and shop from there. Utilize retargeting by making a segment of your customers and make ads specific for them. Always consider the timing to the type of your products. It is one of the marketing strategy which uses email to promote your website, products and promotion. The email should contain photos and information about your website and products. The email messages should be delivered in intervals and should have a persuasive voice to let receivers check their website, possibly subscribe and purchase eventually. Do not forget to add “Call-to-Action” buttons not just in your website but to your social media accounts as well to allow consumers to buy directly instead of going back to your website. You should add ad extensions to your website and blog which is available in AdWords and Bing. It contains additional information about your website, product. Ad extensions are free and can be added to your ads. This will promote increased visibility on search results page. It will help to increase number of clicks to your ads. You need to use the right keywords on your website or blog so you will rank high in the search engine results pages. You can verify this by using tools like Google Keyword Planner. To make sure that your pages are crawled and indexed, you need to submit the sitemap to google. You need to set an effective layout, which is user-friendly so it will be easier for your visitors to navigate your site and will not leave in a matter of seconds. Bear in mind that Google tracks the time visitors spend on your website and they will base the relevance of your contest from this. Always double-check your pages to avoid duplication. You might have set up versions of your homepage without realizing it and Google will then consider them duplicate and will impact your ranking. Do not forget to add your name, address and contact number on your website. Google also uses local search rankings so adding your information will help you rank local businesses searches. It is always advisable to post relevant contents frequently to help you stay on search engine. Nowadays, consumers are fond of sharing information to your social media so if they find your content useful, then you will get more traffic from these social signals. You can add other website links to your pages. This will help you create relationship that will lead to new opportunities for you. It will help to your site if you list your products directly to Google Shopping. It will help you gain more audiences and potential customers to check your site through the products they have seen on the listing. Always make it a habit to design your website effectively and create contents that are relevant to your target market or audience.